I spent Saturday travelling up North to visit my parents and my dog. Had an absolute blast while at it! And how awesome is my Dad? 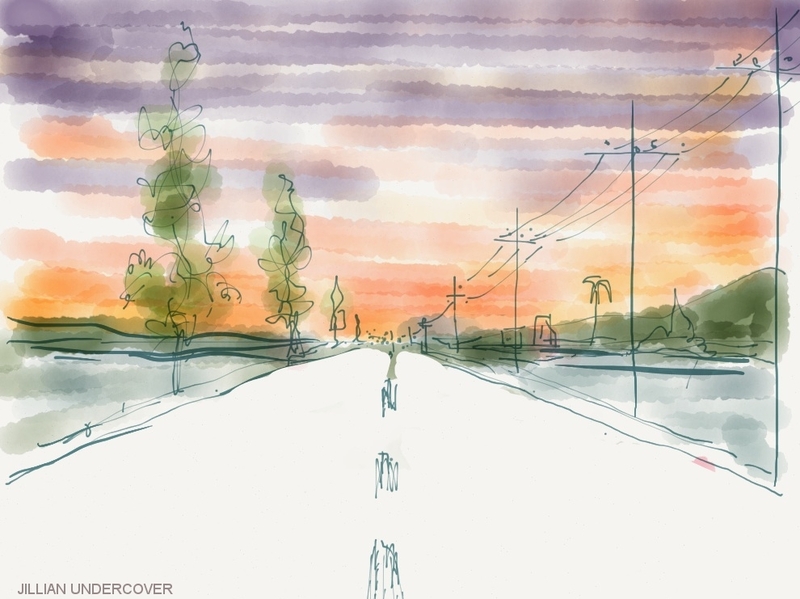 He made this sketch on Saturday afternoon on my iPad using Paper FiftyThree, the best sketching app on the iPad, by far! It's half done but I love it anyway. I hope you like the sketch as much as I do. Here's to a fab Monday! o wow,I would have never guessed that this was digitally created. Looks like water color. I like it!